Guest-Post: Dealing With Negative Feelings – Make A Change! – Heena Rathore P.
November 30, 2014 December 2, 2014 by Heena Rathore P.
Hi guys! Please welcome today’s Guest-Blogger, Erika Kind: The author of I’m Free and several other amazing books, she also has a practice for aromatherapy and self-development. 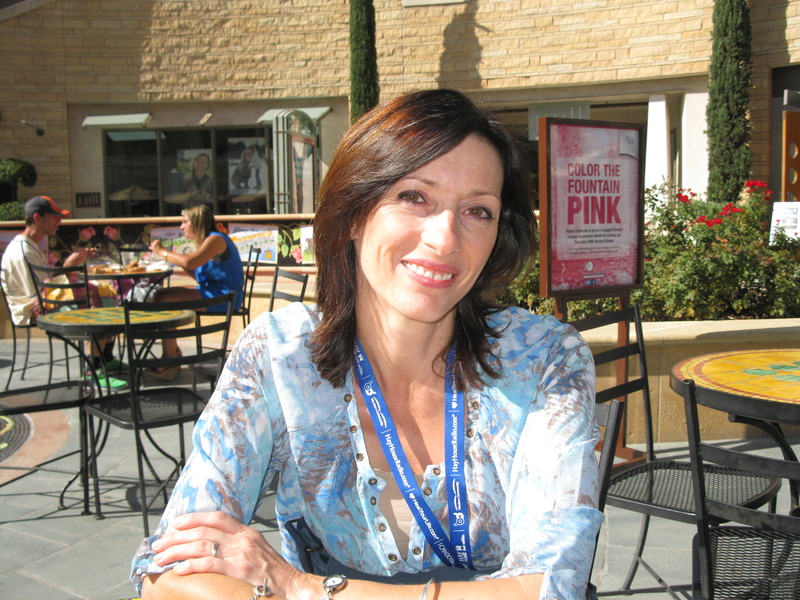 Visit her blog, Author Erika Kind, to know more about her. 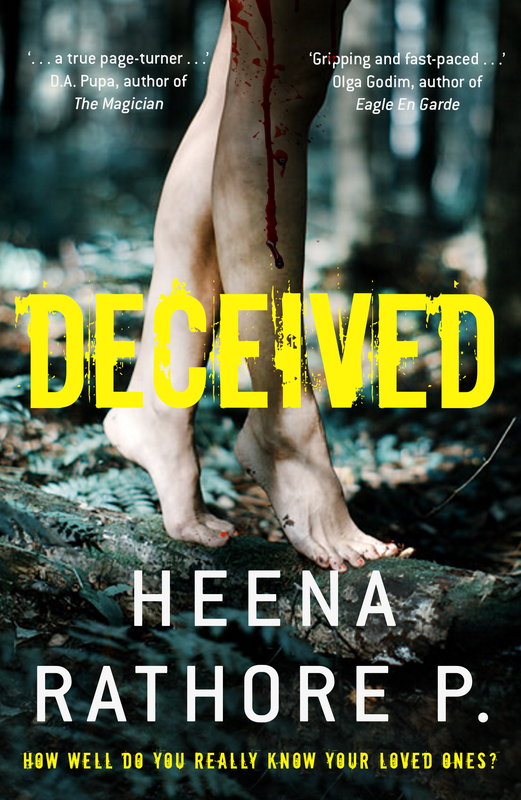 I am so happy to be asked for a guest-post by my dear friend Heena. What do I love most about her blog? Her fresh and light way of writing, and inspiring. To me she is a young woman with lots of feelings and a heart full of wisdom. Heena asked me to write about how to deal with negative feelings. A topic with a very wide range… where to start, where to go? We all are caught by negative feelings at times; some more and some less. Why do we have negative feelings? (At this point I’d like to differ between feelings and emotions in order to provide a better understanding. Feelings to me mean something stable and kind of condition. Emotions are only of a short duration and emerge out of a happening.) So why do we have negative feelings? I try to keep it short and simple. Feelings are something that is engraved very deep inside of us. They are the felt result of our believes. And believes are the result of the way we experienced what happened with us and to us in the past. The way we dealt with those experiences caused new experiences. We store all of our experiences in our mind and feed our different folders. Whenever something happens we reflexively open the matching folder in our mind, retrieve the stored data and add the new one. Over time we are having a collection of experiences and that causes our belief how things are connected and also how we see the world, life and most of all ourselves. One of the most destructive negative feelings is a lack of self-love. This may have happened out of being bullied, abused, laughed at, or being told that we never make it anywhere. Although all this was thrown towards us from outside (not from an inner knowing) over time we start to believe what our surrounding tells us. We believe that we are too stupid or enable to accomplish certain things. We believe that our opinion is wrong. We believe that we are not worthwhile when not fitting in a matrix of others. And we develop a negative feeling towards ourselves which leads to doubting ourselves, fighting ourselves, hating ourselves, mistrusting ourselves, or isolating ourselves. It may lead to depression, anxieties, panic attacks, and lots more. These feelings are engraved inside of us so deeply that we are not thinking about them consciously. They have become a part of our daily life, part of our thoughts and actions, part or our belief system. Over time we believe that this is it! To get rid of them is not easy … BUT … it is definitely possible! There is only one thing you need to understand. It is you that believes it! And only this matters. The belief of others never ever can make you become, think or do anything. It is only your willingness to believe it. But in the same way you started to believe what you were told you can start to believe what you want to believe. Nobody can do anything against it. It is up to you, who you want to be and what you want to feel. Happiness, inner peace, self-esteem, self-love is an inner concept and a decision we make; like the decision we chose to hate ourselves. But to hate ourselves was not a conscious decision. A decision made consciously has more power and a dramatic effect of change. Now ask yourself, what do you really believe about you? Look inside of you and see that there is a being that has the same right to fulfill his needs like everyone wants. See that beautiful light and feel the power that has always been there waiting until you are finally ready to dive in and reconnect with this enormous power you are. It has been always there and you have always been connected to it. Only what you believed separated you from feeling it. Now it’s time to change your belief about yourself. Look into the mirror and see this unique creature that has certain abilities, knowledge, longings, wishes, dreams and the divine power to make it all possible. It is never ever about what others tell you who you are. It is always and only about what you belief who you are! You are connected to an inexhaustible ocean of power and possibilities. Whatever drop you scoop out of this ocean will be your tool. Choose what you want to choose in order to feel love, happiness and fulfillment. This is your life! You are here for one simple reason: To experience yourself and live your life (and not the one of others). And therefore you need to remember who you really are. Don’t be scared just take the first step. And the first step is to deny everything you believed about yourself which weakened and destroyed you. You are a beautiful spirit made of divine energy. Everybody is! Only believe what matches this picture and your life and the transformation begins! I wa s born in Vienna (Austria). For more than 30 years I live in the Principality of Liechtenstein in the Centre of Europe. I am married and mother of three children. I am the author of “I’m F ree- Awareness of Who You Are by Discovering Who You Are not” and 3 more books and I am running a practice of aromatherapy and self-development. I also give workshops and lectures in order to make people find their own way to find out who they really are and live the life they always wanted to. Oh, Heena, your lovely words really moved me!!! Thank you so much. You feel like an angel to me! I can only say that I don’t ever want to miss our conversations. You are like a fresh breeze! Thank you so much again! Heena, one of my favorite bloggers, honored me in asking me to do a guest-post on her blog. Heena is a beautiful young and very experienced woman. I appreciate her a lot and I am so glad that we found each other on WordPress! Take a look at her blog. She is writig amazing book reviews and has lots of great blog ideas. 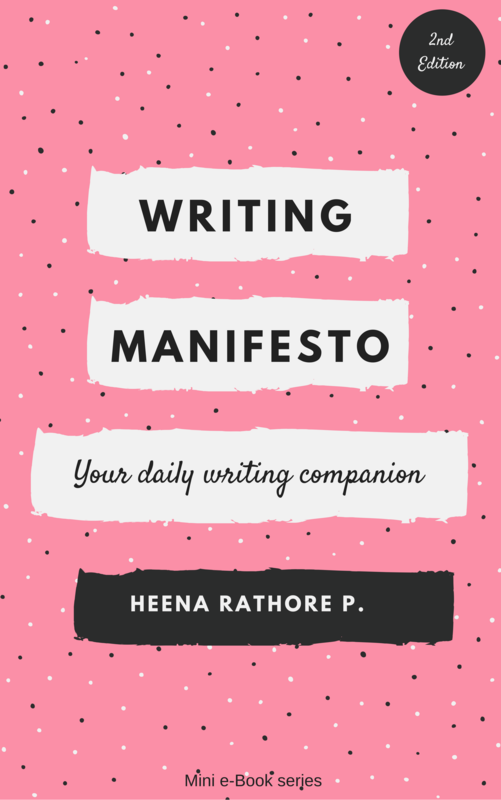 An excellent choice for a guest blogger, Heena! Erika is a positive, inspiring force (not to mention has the most awesome Halloween ideas ever!). Beautiful timely post for those of us who suffer during the holiday season. Spot on and wonderful! Thanks for sharing. I’ve missed interacting with you from a last few days. 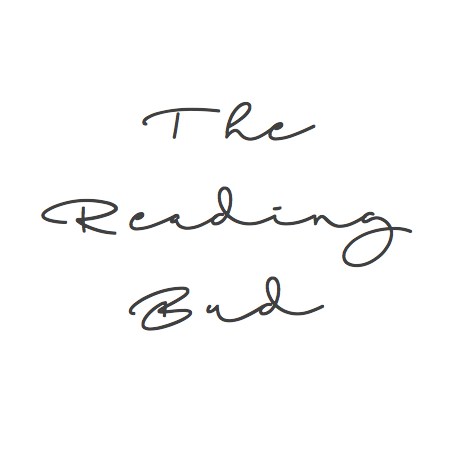 I’ve been busy with buddy-reads and stuff, I’m sorry for not being able to drop by your blog since last few days! I’ll be visiting soon though (once my hubby’s b’day is over). No worries. I’ve been busy too! Happy birthday to him! I missed this post! Glad to found snd read it! Positive message and like Rob said, inspiring!